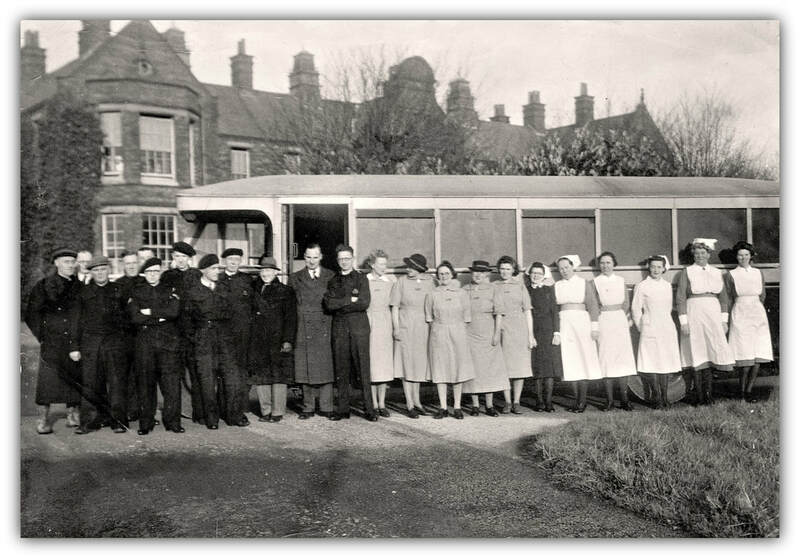 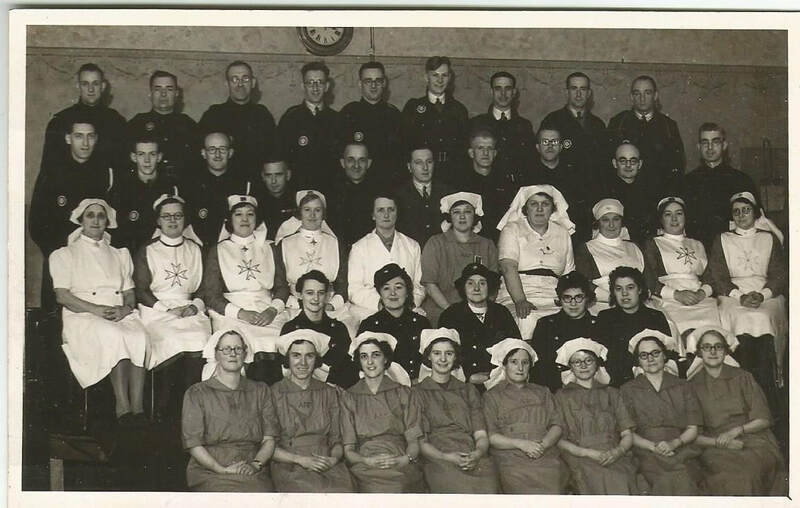 A dedicated ARP branch for nurses was created within the Civil Defence Service. The uniform was a blue with fine white stripe, A-line dress with a square collar. 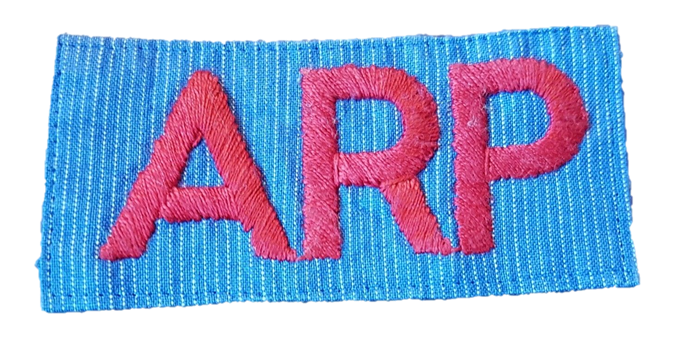 A fabric badge of red ARP letters embroidered on the same material as the uniform was sewn centrally to the chest. 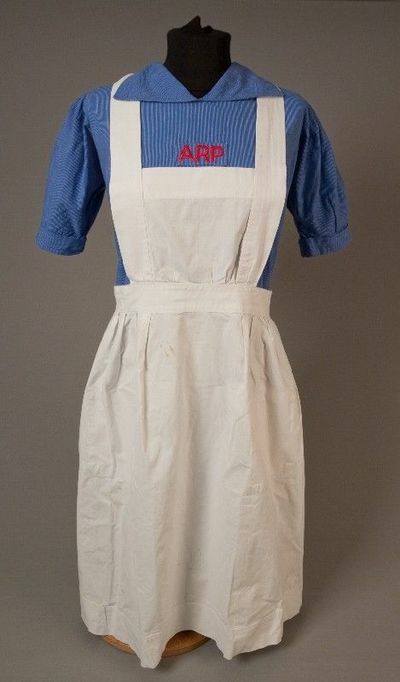 A white cotton apron could be worn over the top of the uniform. WW2 ARP nurses uniform showing location of badge (Image: Greater Manchester Museums Group). 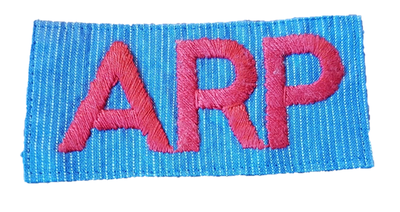 WW2 ARP nurses uniform badge.